Welcome to Brickstuff! - Brickstuff-- Small Lights for Big Ideas! Simplicity and flexibility are at the heart of everything we do. We've engineered our light modules so you can install them anywhere, and have them up and running in minutes. You can connect the modules end-to-end to create larger installations, and you can connect Lighting Effect Modules to your lighting setup to bring your creations to life. Realistic lighting effects-- such as a flickering fireplace or lights inside a model house that turn on and off automatically-- come standard out of the box. You don't need to worry about the electronics-- just connect your lights, attach a power source, and get ready to answer the question, "How'd you do that?" Although much of the content and many of the projects on our website focus on LEGO® creations, this isn't the limitation of what you can do with Brickstuff products. Our lights, power supplies, and Lighting Effect controllers are also perfect solutions for model train layouts (for buildings or the trains themselves), for dollhouses, for LEMAX and Department 56® villages, for Playmobil houses and trains, and even for robotics projects. Because our lighting products operate at 5 volts DC, they are compatible with the Arduino and other microcontroller platforms. We'll be introducing new products throughout 2013 and beyond, so keep an eye on this site, like us on Facebook, and follow our tweets to keep up with the latest. Take a look around, get inspired, and share your awesome creations with the world! 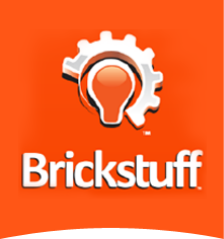 Thank you for your interest in Brickstuff products. Have something to say? Say it! If you want to hear back from us, please include your e-mail address.